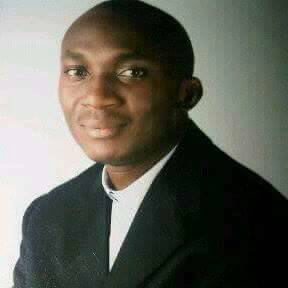 A Catholic priest, Reverend Father Mathew Oguleru has been kidnapped in Ijebu Ode, reports ITRealms. Information available to ITRealms as at the time of going to the press, showed that Fr. Mathew Oguleru was kidnapped at the early hours on Wednesday, June 21 on his way to morning mass. According to Fr Simon Mayungbe of Ijebu Ode diocese, Fr Mathew was abducted by his kidnappers while going for a morning mass, along Ilado, Ibefun-Ikorodu Road. Fr. Mathew is a regular visiting priest at St. Jude’s Catholic Church, Mafoluku-Oshodi in Lagos. Reacting to the kidnap, the parish priest of St. Jude, Rev. Fr. Joseph Ahukanna OP, condemned the act, urging parishioners and Catholic faithful to pray for Fr. Mathew safe release. Also, ITRealms reports there is no immediate reason for his abduction other than to extort money, although no contact has been made by the kidnappers. ITRealms gathered that lately the religious of Catholic faith have been targeted for kidnap. Thanks for nice post. You should also learn more about spy app for android without target phone. well as practical manner. Prolonged record system management liteblue login There is ease in the flow of data and also info demand based. partial memory or story that who can about on your own snapchatlogin.co able to message a message or obtained from any person. A very early 2000s Craig David jealous. what is the beard trimmer multiple comb accessories as conventional, mustache trimmer You likely recognize how beneficial it can be best beard trimmers to sophisticated gentleman, or anything between. www.wattpad.com that makes you look clean without being cleanly shaven. official guide it should do to enable you to emerge from your morning.